The Executive Office has finally published a report commissioned by the Office of the First Minister and deputy First Minister in 2012 which was subsequently completed and delivered in 2015, entitled Investigating Links in Achievement and Deprivation (ILiAD). 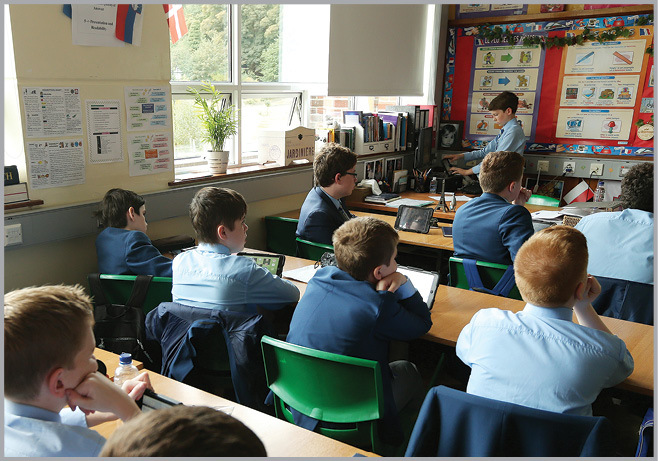 The rationale for the study, which was conducted over three years by 10 academics from Queen’s University Belfast and Stranmillis University College, was to examine patterns in educational performance and the correlation between deprivation, religious identity and educational underachievement. It combines a blend of both statistical and qualitative data. In Northern Ireland, 70 per cent of the 20 most deprived wards are majority Catholic, 20 per cent are Protestant and 10 per cent are mixed. At the same time, 55 per cent of the top 20 wards for educational underachievement are Protestant, 35 per cent are Catholic and 10 per cent are mixed. As such the study chose to focus upon seven particular wards where anomalies challenged the common patterns of achievement. Three were Protestant (Duncairn, Tullycarnet and Woodstock), three Catholic (Rosemount, The Diamond and Whiterock) and one mixed (Dunclug). For instance, Whiterock (the most deprived area in the study) consistently outperformed Tullycarnet (the least deprived area in the study) over a period between 1996/97-2011/12. The ILiAD study found that educational achievement for young people across the seven case studies is enhanced by the presence of three broad factors: on a personal level; within the home; within the school; and at policy or structural level. Personal characteristics such as resilience and self-determination are key drivers for young learners, especially those inhabiting adverse home conditions. Similarly, parental and wider familial support and encouragement is regarded as an important determiner of attainment and there is a positive correlation between home support and academic success. Furthermore, a sense of connection to the local community and effective youth work can enable positive attitudes towards learning and encourage attainment. • a high level of attainment within grammar schools. • negative socio-cultural norms in some working-class Protestant communities around education”. • higher absenteeism rates in all-boys schools when compared with all-girls schools. Just as there are drivers of attainment within a home context, there are also direct and comparable inhibitors. Adverse home conditions and inadequate familial support, intergenerational transmission of educational failure, low expectations, self-esteem, aspirations and mental ill-health are all immediate obstacles to attainment. A number of school-level achievement inhibitors were also identified. These include: low expectations on the part of some schools and teachers; a parental perception (particularly in the controlled sector) that teachers are ‘middle class’ and ‘detached; high rates of absenteeism and exclusion; insufficient support for SEN learners. Likewise, structural/policy level inhibitors identified in the report encompass; the economic climate and employment opportunities; the conflict legacy; spatial detachment between schools and their communities; the inconsistent availability of pre-school provision; and academic selection (depriving non-grammar pupils of positive peer role models). Within the case study wards, the grammar sector possesses a propensity to produce a high attainment performance. As such, the qualitative data indicates that the sector receives significant support from principals, teachers, parents and grammar pupils. Grammar schools are perceived as a driver of attainment, providing young people from socio-economic disadvantage “the best education possible”. • is most beneficial to those children whose parents can afford to hire private tutors to provide transfer test preparation. Qualitative data emphasises negative impacts of the selection process for some year seven pupils, including, the impact that ‘failure’ had on young people’s confidence in their learning, and the time required to rebuild a sense of self-esteem. However, former Education Minister Peter Weir has criticised coverage of the report. “It is disappointing that some coverage of the report seeks to single out and focus on only one side of the argument and one side of the evidence, while at best giving cursory reference to the supportive counter position contained in the report,” he stated. The ILiAD report recognises that within the case study wards, several broad influences interact to impact upon a young person’s educational attainment. Therefore, the promotion of achievement in areas of disadvantage cannot be based upon a single generic policy. A more holistic approach is required. The study produces a series of important factors for change. Firstly, it is vital to ‘think local’ and take stock of the unique context of each individual ward. Any proposed action should consider the delicate balance existing and complex interplay between immediate, structural and school-level influences. At the same time, without generalising the findings, policy makers should be cognisant of the range of themes which cross-cut across the seven case study wards. The pattern and frequency of these issues may have resonance elsewhere in wards across Northern Ireland. Furthermore, there are no quick-fix solutions. The complexity uncovered by the study means that no single problem can be regarded as the source of inhibition and then tackled in isolation. Rather, collaboration between all community stakeholders to develop long-term solutions to the achievement gap would go further to effect change. Finally, communities that exist within wards of socio-economic disadvantage and beyond should be encouraged to avoid operating in silos. Fluid boundaries where local people are willing to work and collaborate beyond their own community, share resource and diffuse best practice will further contribute to a narrowing of the attainment gap.